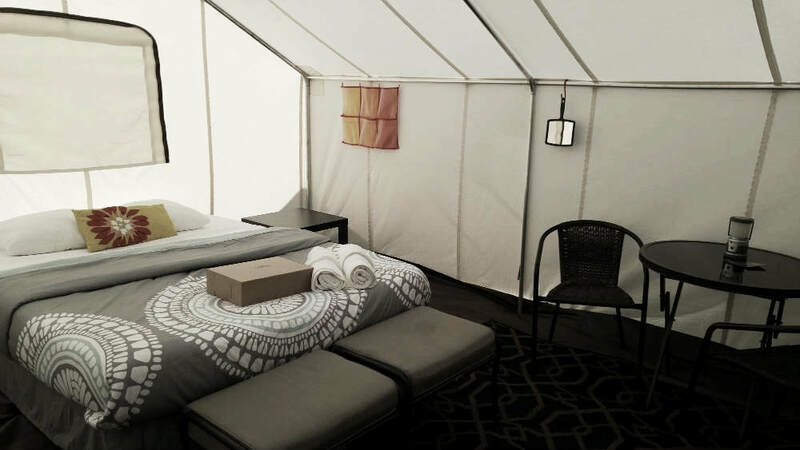 Rock Fest Glamping for 2019 will go on sale in early January. Sign up for our priority list to be notified of on sale dates. 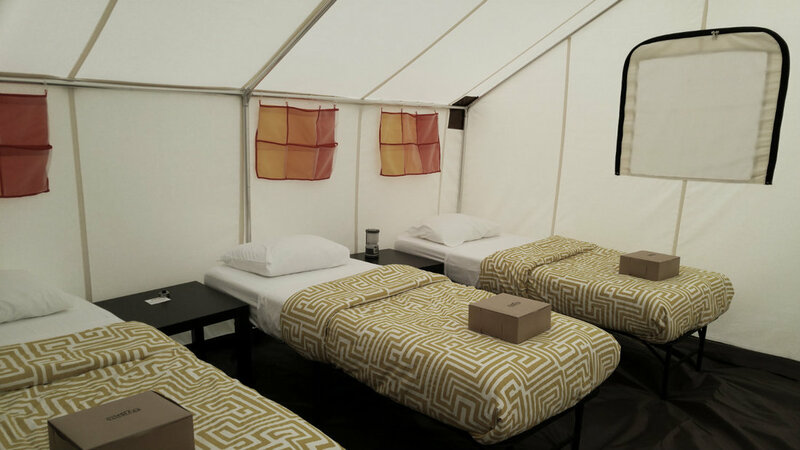 Tent only or furnished glamping tent options. Camping site with one car pass and one camp access pass (wristband) will be added at checkout. One camp access pass is needed per guest. Additional passes may be purchased directly from Rock Fest. Beds with memory foam mattresses, linens, pillows, and duvet cover. End table(s), battery operated lantern, wall organizers, mirror, and trash can. Access to hospitality area, wedding quality portable toilets, cell phone charging, daily ice delivery, morning coffee/tea, shade shelter, air conditioned hospitality trailer, grills, tables/chairs, hammocks, and chairs. Includes all the amenities of a classic plus a table and chairs, rug, ottomans/luggage bench.